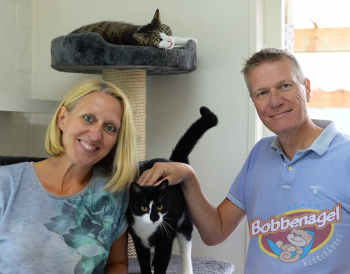 We, Nathalie and Maarten Martens, established our Bobbenagel Cat Hotel located on the Bobbenagelseweg in Sint-Oedenrode in 2009. A long time ago, this building was a cowshed but there’s no evidence of that anymore now because it has been completely renovated. 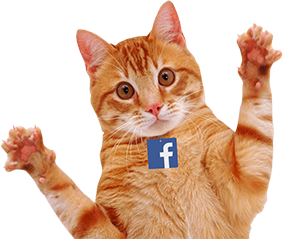 We are now able to cater for every need of even the most demanding cat! In fact, we do much more than meet current Dog and Cat Regulations standards. First and foremost: Passion and love for cats! All-Inclusive care: you bring your cat and we take care of the rest! Five cosy lounging rooms with enclosures and views of the beautiful Dommeldal natural surroundings. Our hotel is exclusively for cats; dogs are not allowed spend their holidays with us; this means lots of peace and quiet! Take a look at our website or feel free to call us or send us an email for more information or to make your reservation. You are also most welcome to come along for an accommodation inspection. We look forward to seeing you at the Bobbenagel Cat Hotel!